Welcome to the Second Baltic Summer School of Digital Humanities (BSSDH 2019)! 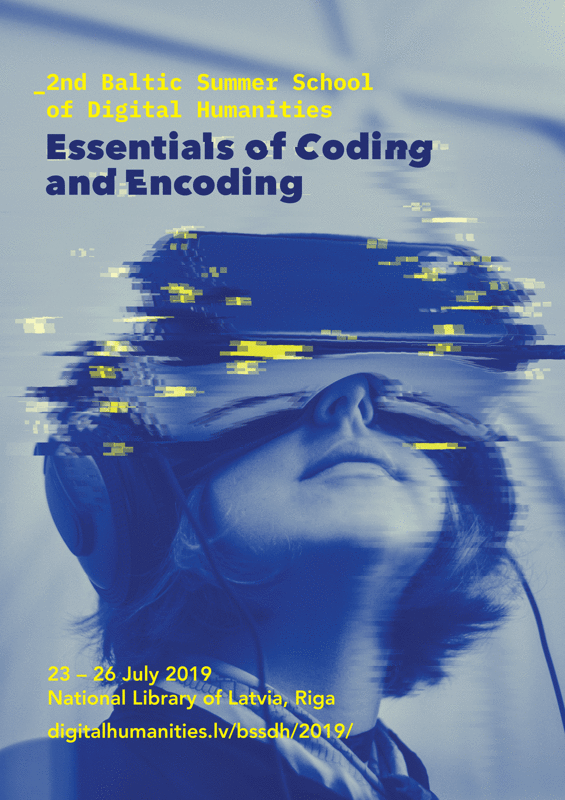 This year’s programme offers must-have introductory courses for digital humanists and digital social scientists who wish to come to grips with programming and text encoding. The course is co-taught by an international team of researchers and practitioners of digital humanities and digital social sciences coming from Germany, Belgium, Bosnia and Herzegovina, Estonia, Lithuania, and Latvia. As always, this will be a great opportunity to meet colleagues and mentors from other countries and explore different perspectives! Registration fee for all participants is 60 EUR. It should be paid during the registration from May 1 to June 30. Registration fee includes access to all workshops, lectures, receptions, and refreshments according to the programme. Participants will need to cover their own travel, accommodation, and lunch expenses. BSSDH 2019 is organized by joint effort of the National Library of Latvia, Institute of Literature, Folklore and Art (University of Latvia), Faculty of Social Sciences and Faculty of Humanities of the University of Latvia.